Independent Publishing is here, it’s real, and it is now a business. And any proper business needs proper marketing. No product on this planet will sell just by “sitting” there. It has to look good, and consumers need to become aware of it. Including YOUR book. The road to selling your book begins with a few steps. Below is a comprehensive marketing checklist for indie authors, as laid out by the guys at Indie Author Counsel. These points are vital for any independent author setting out on his or her publishing journey. Q: I’m writing a self-help guide; what marketing activities should I be starting now, before publication? A: Building your author platform is the first step to find your readers. Go to our website www.IndieAuthorCounsel.com and visit the Marketing Tips page to download your Free Book Marketing Checklist. The goal is to create and launch a platform that quickly communicates your genre and entertainment value if you’re writing fiction, and your expertise and credibility if you’re writing non-fiction, such as your self-help guide. Build your bio – Succinctly tell people about you and your work, including credentials, credits and awards. Turn it into a one-pager to use in your book, whenever you pitch your book, in your publicity package, on Amazon Author Central and on your website. Author website – You need a hub, a place to connect with your audience, offer free information and excerpts of your book, and sell your book and other services. If you use a blog-based site, such as WordPress.org, which is easy to set up and use, you don’t need an expensive setup or a webmaster to update your site – you can get going immediately. Author blog – Your blog could be separate or a page of your website. It’s an important place to connect, enlighten, entertain, and capture a following of readers interested in learning more about you, your topic and your books. A signup list – Create a list of future readers by offering a free excerpt of your work, a newsletter, eBook, or video/audio product on your website/blog. This allows you to start building a list of people who are interested in your book or product. Check out Aweber or Mail Chimp to handle your lists, emails, auto responders, and newsletters. Follow other blogs – Stay up-to-date with the latest information in the industry and to leave comments that establish your platform. Join professional associations – Seek out and join ones related to your topic, target audience or professional goals. Establish your expert status – Teach through workshops, online webinars, podcasts and/or videos, in-person speaking engagements, articles using tips from your book to industry publications and other print and online media sources. This provides you the ability to establish yourself as an expert, and market your book in the author’s information box. If you have already started writing, it’s never too early to start building your Author Platform. 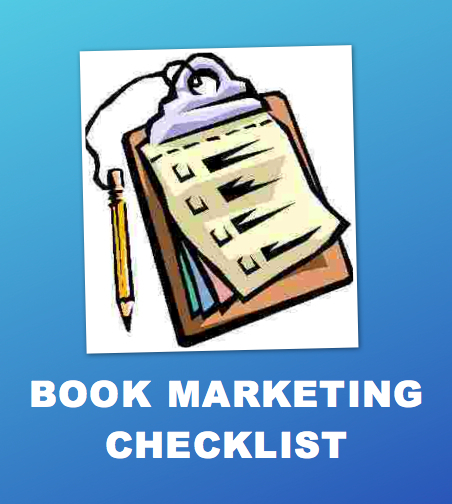 Visit www.IndieAuthorCounsel.com and go to the Marketing Tips page to download your Free Book Marketing Checklist. Please consider us for all of your Editing needs and tell your friends and colleagues how we can help.